Item # 312740 Stash Points: 7,995 (?) This is the number of points you get in The Zumiez Stash for purchasing this item. Stash points are redeemable for exclusive rewards only available to Zumiez Stash members. To redeem your points check out the rewards catalog on thestash.zumiez.com. Grab a classic silhouette from Vans that's been draped in an all new colorway, and built for hard-charging skate performance. 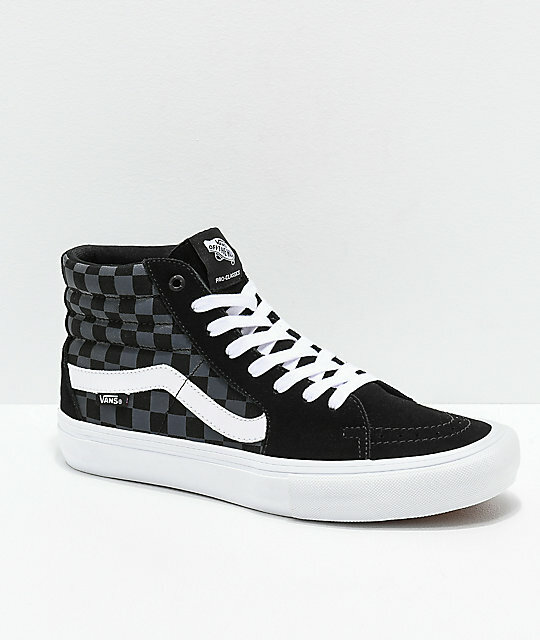 The Sk8-Hi Pro Reflect Black Skate Shoes from Vans come with a black suede toecap and heel, with black and grey reflective checkerboard canvas body. Duracap rubber reinforcements, vulcanized construction, and Vans UltraCush HD Pro Footbeds are added, making the Sk8-Hi Pro Reflect Black Skate Shoes your go-to for days on and off the board. 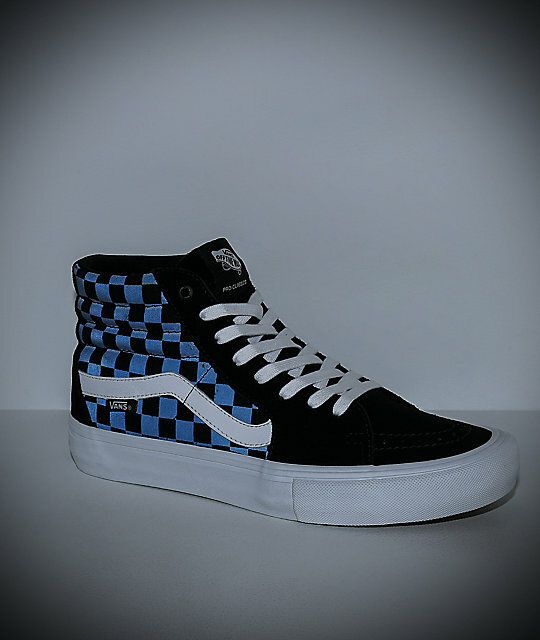 Sk8-Hi Pro Reflect Black Skate Shoes from Vans. Black suede toecap & heel with black & reflective grey checkerboard body. Lightly padded high top collar with soft textile lining. Reinforced metal eyelets at the top of collar. 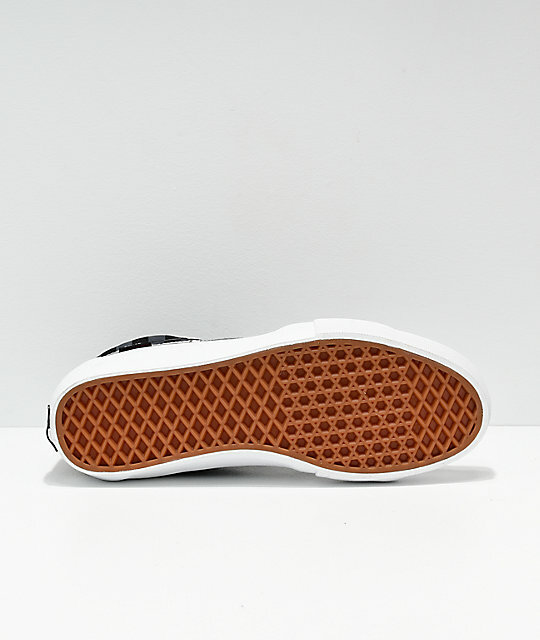 Vans UltraCush HD Pro footbed. Classic Vans waffle tread for grip with camo splatter. White leather Vans stripe logo on the sides.